And it’s time for you to start loving eating your greens…that is, if you don’t already. And why? Because eating leafy greens enhances your liver function. It’s always important to help cleanse our liver. That’s because the liver becomes overheated due to stress and then causes anger, irritation, and frustration if not kept in balance. In Traditional Chinese Medicine (TCM), the liver is the organ responsible for the smooth flow of emotions as well as Qi and blood. It is the organ that is most affected by excess stress or emotions. The liver regulates the blood throughout the body –sending to muscles, nourishing tissues, and sometimes storing blood for use to fight off pathogens. Healthy liver functions will have an important influence on a person’s energy level. 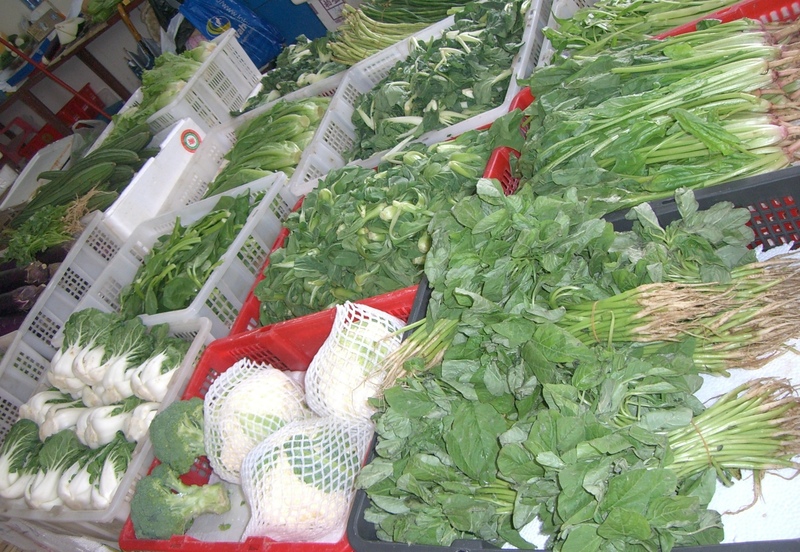 But, let’s get back to those leafy greens – kale, bok choy, spinach, kailan, chard, choy sum, and plenty more. Gotta love ‘em. They all are so rich in vitamins, iron, potassium, magnesium, folate, calcium, and fiber. But, where did the hang-up about eating green foods and vegetables begin? I have never ostracized green veggies from my life. As a kid – I was alright with it. Grandma made the cream spinach – very yummy. And I liked broccoli, Brussel sprouts, and others. At that time, there weren’t the grand choices available that we now have for devouring this nutrient dense food choice. It’s all about taste, knowledge, and presentation. I believe people can get over their misunderstanding of green vegetables by retraining their taste buds. And by a genuine appreciation. Don’t laugh. Your body is not laughing – as a matter of fact – it’s cheering you on. Let me continue with a boast. I was the Queen of Kale before it was fashionable! Hang in here with me – as I am nowhere near a chef, but a ‘foodie’ – oh yes! Wash and put in a frying pan (or a wok if you have one) with a small amount of water to steam. For some people, the taste is too normal, organic, fresh, or bitter. But, not for me! Simply stir fry it, and in the middle of cooking, sprinkle drops of red chili oil and citrus to enhance the taste. It then takes on a merging of toasted, plus green – which has an added satisfying flavor. That is how I began my love affair with greens and how I truly understood that food IS medicine. Mindful Eating is one way to get immediate results in optimizing your health, more efficient digestion and increased energy. I WOULD BE HAPPY TO GUIDE YOU IN THIS!